Catholics and observance of Lent, I'm planning to give up tea of Camelia Sinensis variety for a month. Although the reasons are more medical than spiritual as I appear to have developed a caffeine sensitivity. Even a half a cup of tea induces jitteriness and disrupt sleep 10 hours later. And when you have bad sleep patterns, the rest of your life can slowly unravel. New parents who routinely endure sleep deprivation understand how deep the ripples can go. If I am still sleeping badly after a month, I can happily go back to drinking caffeinated tea. So what are my options for a hot piping beverage? white tea (?) - It's hard to go cold turkey and it would be great to ease in with a low caffeine alternative. 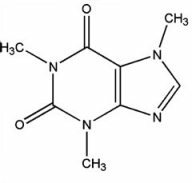 There is some contention over whether or not white tea has more or less caffeine than black or green teas. It probably depends on what part of the leaf the white tea comes from and how it's processed. The yinzhens I've gotten from Yunnan can get my heart racing and it's not surprising since most caffeine is in the furry bud. I probably have to ramp down without it. Egads- am I to be relegated to boxes of Celestial Seasonings? I feel sad. I've never stopped drinking tea my whole adult life but I constantly remind myself deprivations are good for boosting one's spiritual health. 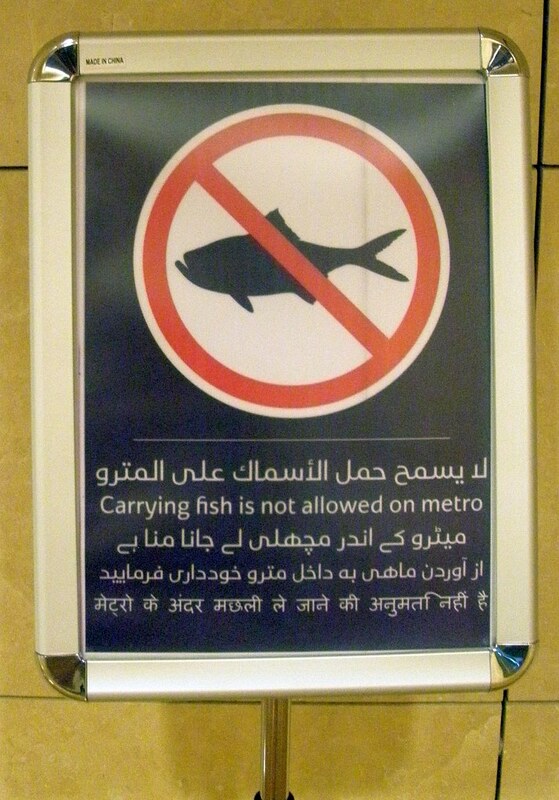 I saw this sign forbidding fish on the Dubai metro last year. This kind of rule would never do in China where someone told me that an old Chinese woman just plunked her plastic bag containing a live fish right on his lap in a crowded train. I dont think I would be able to give the tea up. I actually drink puerh right up to about half hour before going to sleep. Have you tried the large leaf shengs, as they are reported to have less caffeine also. Also try chamomile, it seems to help with sleep. You can usually find it cheap at a hispanic food store. Hope you get some good rest H.
Ask for bulk loose Manzanilla, spanish for chamomile. If you go with chamomile, skip Celestial Seasoning and go with proper (whole flower?). It tastes much better. Go a high quality medicinal grade Chamomile whole leaf tea. It will help with sleep for sure and tastes awesome. Oh Emmett, I don't need a nudge from chamomile now that I'm not drinking caffeinated tea. But I do cherish that sleeping bear on the Celestial Seasonings box but I'll check out Mi Tierra- our local Mexican butcher and grocery store. Don't forget mint. Maybe you hate it, but I've never not enjoyed a cup of mint tea. Melissa is nice, as well. Mint and melissa together. A mild hop tea for relaxing. Anise hyssop if you like anise flavor. Have you ever tried Ban Lan Gen? Little packets of sweet, mushroomy, roasty dandelion goodness? The herbal possibilities are endless, though not always as satisfying. Roasted barley is a good idea, that will be hearty. Good luck with the break. It would be tough for me. I think the only times I have gone without drinking tea in the last 10 years have been when I was too hungover to drink any. I hope you learn lots and get some good sleep. I will look out for Ban Lan Gen in China town- it sounds much more intriguing than chicory which is much too straight forward. The hiatus is surprisingly doable except when I see somebody else drinking good tea than I feel bad. Downer and an upper- it seems just the thing to perpetuate bad sleeping habits.